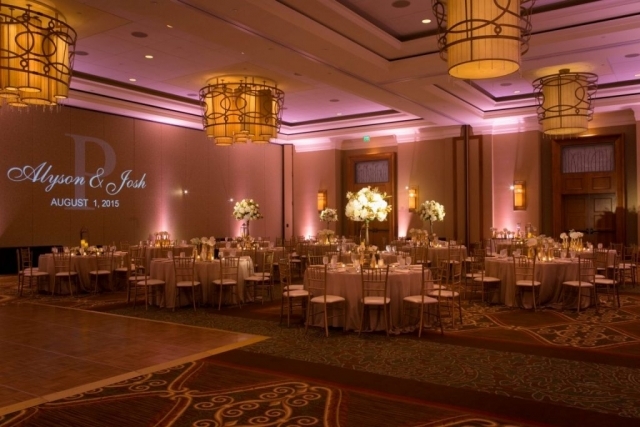 Check out the pictures below to see some of the most popular lighting options we offer (click each picture for a larger view). 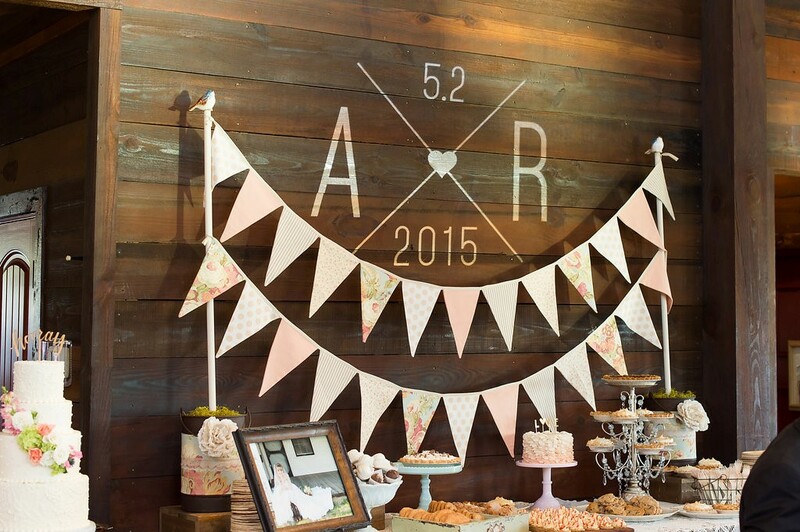 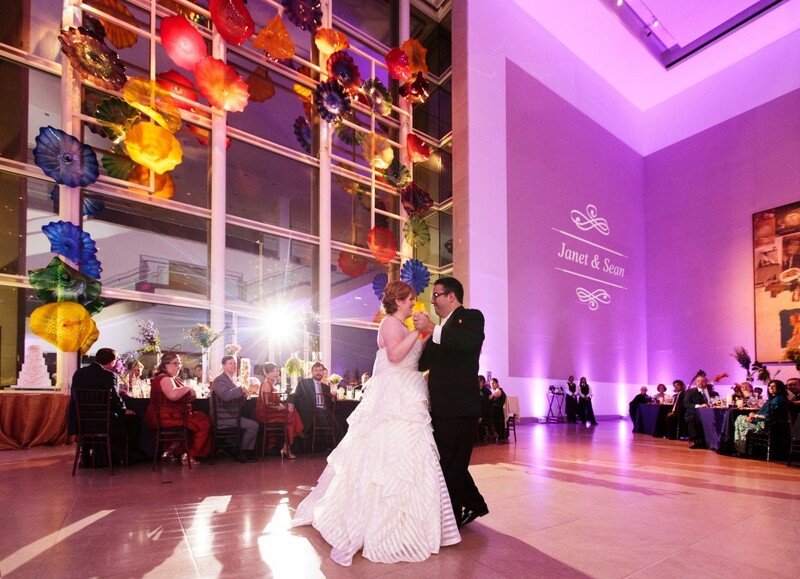 We will work with you to create a design to project just about anywhere in your venue. 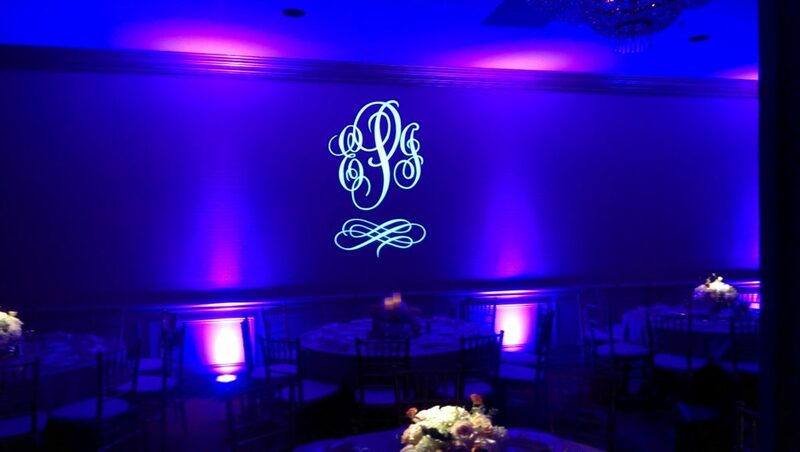 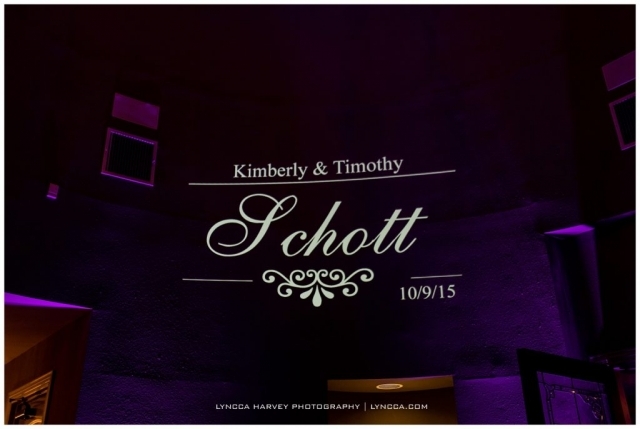 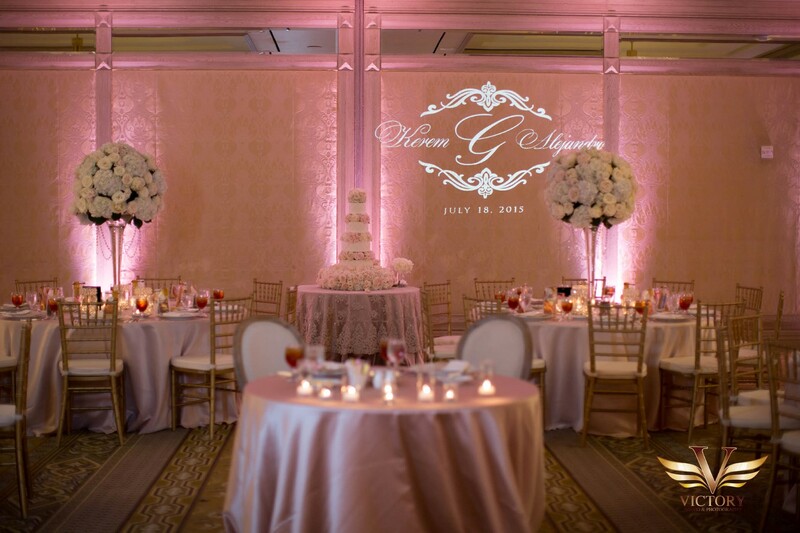 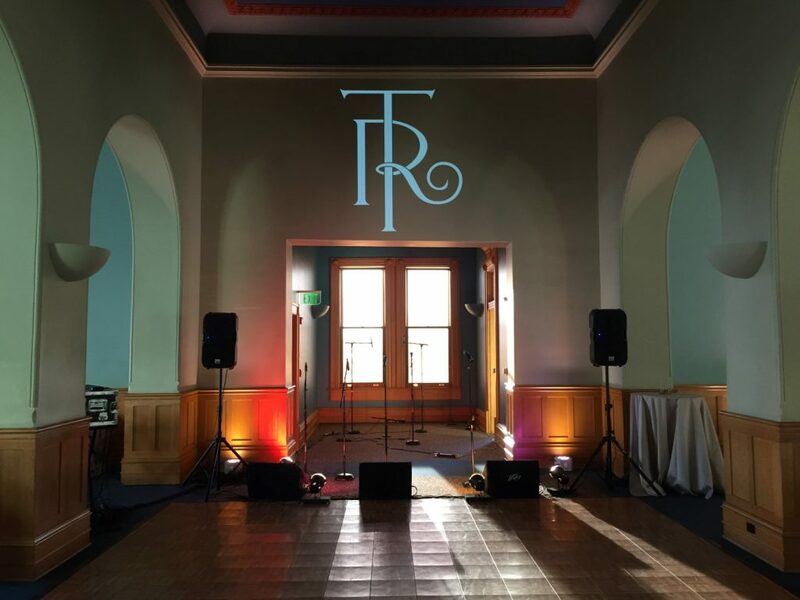 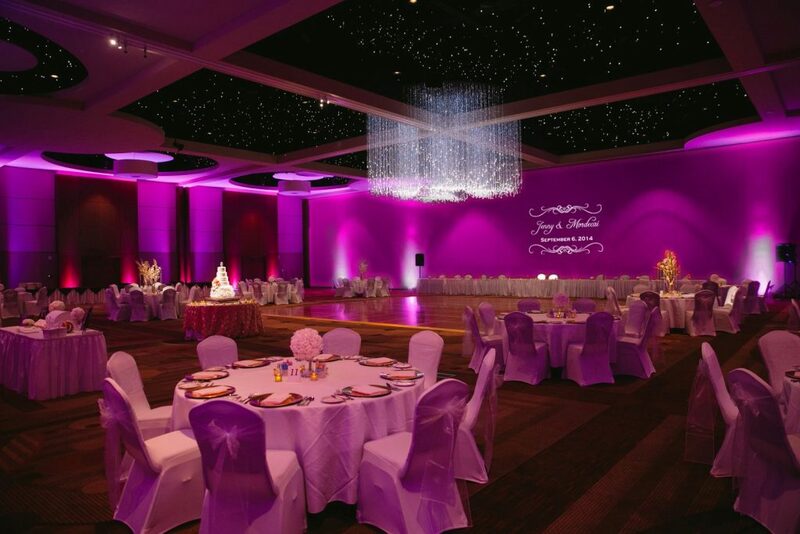 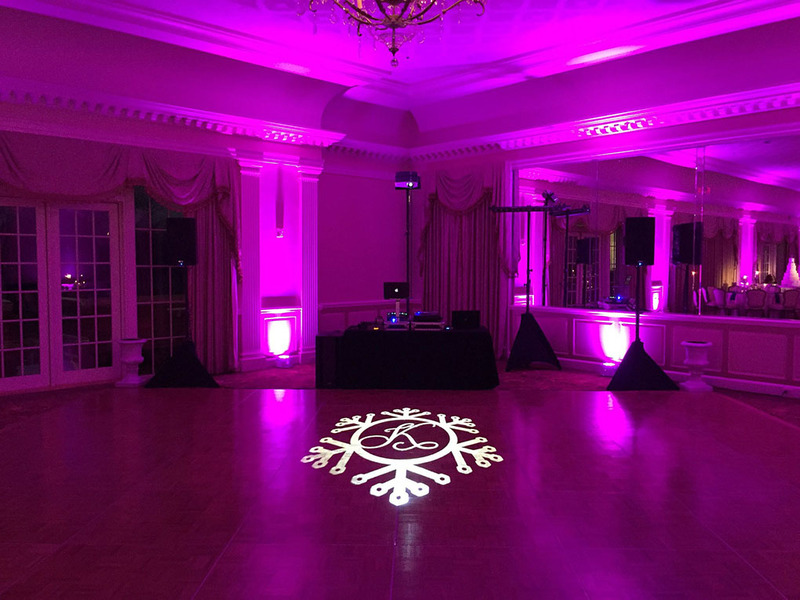 We are one of just a few companies in all of Dallas & Fort Worth offering digital monogram/image projection. 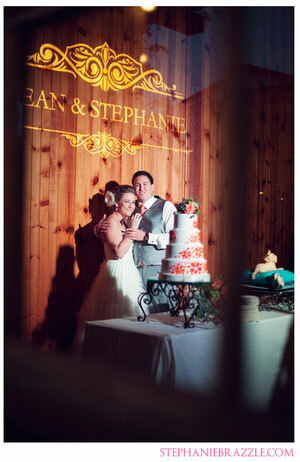 That means the image is extremely crisp & clear so it looks great at your wedding. 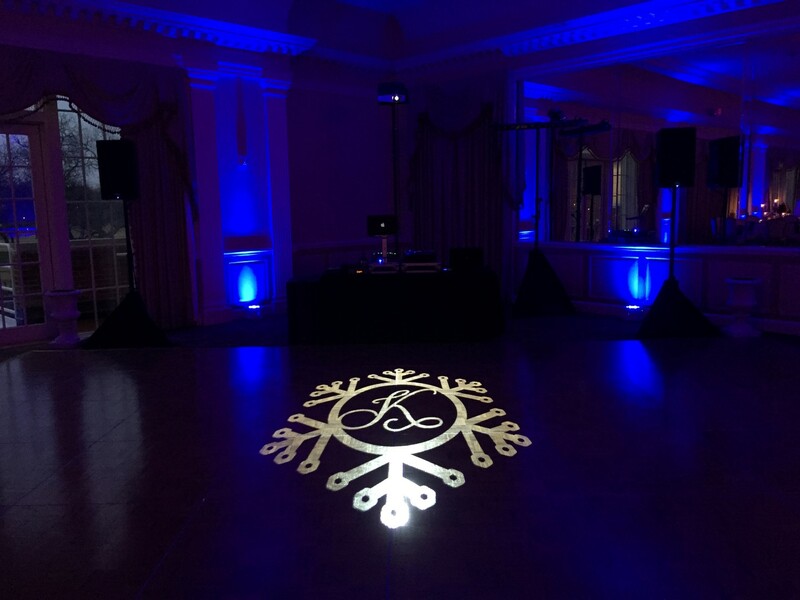 If you would like a price quote for DJ services & lighting, please contact us today for a price quote.